Nanofiltration, An unique technique that has prospered over the past few years. 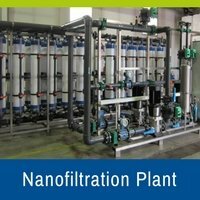 Nanofiltration is mainly applied in drinking water purification process steps, such as water softening, de coloring and micro pollutant removal.Which is mainly used for the removal of two valued ions and the larger monovalent ions such as heavy metals. During industrial processes Nano filtration is applied for the removal of specific components, such as coloring agents. Nanofiltration deals with related process, during which separation takes place, based on molecule size. Membranes bring about the separation. Nanofiltration membranes have a moderate retention for univalent salts. Nanofiltration system possess pores with a size of approximately 1nm. Nanofiltration system are characterised based on their retention of loaded and unloaded particles. The retention of a Nanofiltration membrane can be determined via experimental filtration tests with pre-selected molecules. A NF system is also ion-selective. This is the ability to distinguish various ions from one another. Because a nanofiltration system collects solid loaded groups in its membrane structure, electrostatic repulsion/attraction forces may occur between the components in the liquid and the NF membrane surface, which results in a certain degree of ion selectivity. Based on the sieve effect (pore size 1 nm) and the molecular size of chlorides (0.12 mm in size) and sulfates (0.23 mm in size), these ions are expected to diffuse through the membrane. NF is the most recently developed pressure-driven membrane process for liquid-phase separations. NF has replaced reverse osmosis (RO) in many applications due to lower energy consumption and higher flux rates. The properties of NF lie between those of non-porous RO system (where transport is governed by a solution-diffusion mechanism) and porous ultrafiltration (UF) membrane systems (where separation is usually assumed to be due to size exclusion and, in some cases, charge effects). Commercial NF system possess a fixed charge developed by dissociation of surface groups such as sulphurated or carboxyl acids. The properties of NF systems, therefore, allow ions to be separated by a combination of the size and electrical effects of UF and the ion interaction mechanisms of RO. The NF system is the relatively newly introduced technology in wastewater treatment system. The size of pores in NF membranes (nominally ∼ 1 nm) is such that even small uncharged solutes are highly rejected while the surface electrostatic properties allow monovalent ions to be reasonably well transmitted with multivalent ions mostly retained. These characteristics make NF system extremely useful in the fractionation and selective removal of solutes from complex process streams. The development of NF technology as a viable process over recent years has led to a remarkable increase in its application in a number of industries such as treatment of pulp-bleaching effluents from the textile industry, separation of pharmaceuticals from fermentation broths, demineralization in the dairy industry, and metal recovery from wastewater and virus removal. NF is one of the promising technologies for the treatment of natural organic matter and inorganic pollutants in surface water. Since the surface water has low osmotic pressure, a low-pressure operation of NF is possible. There is a high rejection of organic substances such as disinfection-byproducts precursors by the NF process. In the NF of surface waters, natural organic compounds, which have relatively large molecules compared to membrane pore size, could be removed by sieving mechanism, whereas the inorganic salts by the charge effect of the ions. Separation mechanisms in NF Since NF system exhibits properties between those of ultrafiltration (UF) and reverse osmosis (RO), both charge and size of particle play important role in NF rejection mechanism. It has described NF as a charged UF system whereas referred it as low-pressure RO system. However, NF has advantages of lower operating pressure compared to RO, and higher organic rejection compared to UF. For the colloids and large molecules, physical sieving would be the dominant rejection mechanism whereas for the ions and lower molecular weight substances, solution diffusion mechanism and charge effect of membranes play the major role in separation process. Wetted surface water associates with the system through hydrogen bonding and the molecules which form the hydrogen bonding with the membrane can be transported. Preferential sorption/Capillary rejection – membrane is heterogeneous and micro porous, and electrostatic repulsion occurs due to different electrostatic constants of solution and membrane. Solution diffusion – NF system is homogeneous and non-porous, and solute and solvent dissolve in the active layer of the membrane and the transport of the solvent occurs due to the diffusion through the layer. Charged capillary – electric double layer in the pores determines rejection. Ions of same charge as that of membrane are attracted and counter-ions are rejected due to the streaming potential. Textile wastewater treatment for industrial reuse remains as a complicated problem due to several reasons. Among them, Biological Oxygen Demand (BOD), Chemical Oxygen Demand (COD), Total Dissolved Solids (TDS) content of the wastewater and Nonbiodegradable nature of organic dyestuffs present in the effluent are the main obstacles. Thus, any adopted treatment system, especially with respect to primary treatment, should be able to address these issues. To solve these problems, several technological advancements are made. Conventional water-treatment technologies are including filtration, ultraviolet radiation, chemical treatment and desalination, whereas the Nano-enabled technologies include a variety of different types of membranes and filters. The study on the comparison between the conventional and the Nano-enabled technologies for water treatment. Nanofiltration membranes selectively reject substances, which enables the removal of harmful pollutants and retention of nutrients present in water that are required for the normal functioning of the body. 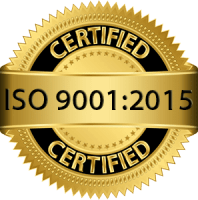 The reverse osmosis membranes removed about 99% of all the solutes, but the concentrations of essential nutrients, such as calcium and magnesium ions, were reduced to the levels that are below the specifications of the standard water. Many literature are considering the potential of nanoscience to solve technical challenges associated with the removal of water contaminants. Separation membranes with structure at the nanoscale based on carbon nanotubes, nonporous ceramics, magnetic nanoparticles and the other nanomaterials can also be used in low-cost methods to produce potable water. Nanofiltration membranes can achieve enough permeate quality for certain processes at a lower operating pressure than reverse osmosis. Nanofiltration has been applied for the treatment of colored effluents from the textile industry. The use of membranes in combination with physicochemical processes is very interesting to produce water to be reused from the global effluent of the industry. A combination of adsorption and nanofiltration can be adopted for the treatment of textile dye effluents. In addition, ultrafiltration and nanofiltration can be coupled in order to study the effect of ultrafiltration as pre-treatment in a nanofiltration system. The results showed that the permeate flux of the nanofiltration increased a lot and the COD concentration was reduced in the nanofiltration feed. This pretreatment is required to avoid the fouling of the nanofiltration membranes and the damage of the equipment. In order to reuse the water in the rinse processes, it is necessary to have a negligible amount of COD concentration in the permeate stream. The NF system has the physicochemical treatment applied to the textile wastewater achieves COD removal efficiency around 50%. Also, the average removal color by use of biologically processes attained only 70%, which are recommended potential of using nanofiltration for postprocessing treatment. The quality of the treated wastewater can be improved if the advanced processes are combined with them. The use of ultrafiltration process cannot significantly reduce the COD of the physicochemical treated water. However, using nanofiltration membranes, the COD concentration can significantly be reduced in such ways that permeate of the nanofiltration membrane can be reused in the industry. The combination of the physicochemical treatment and the nanofiltration leads to a COD removal of almost 100%. Also, a comparison between the role of the activated sludge treated wastewater combined with nanofiltration and ozonation processes have been studied. The results of the study showed that nanofiltrations of the biologically treated wastewater of the textile industries produce permeates with insignificant amount of COD. Despite this, the retention for chlorides is maximum 90 % and that of sulfates is minimum 90%. A NF membrane can be tubular, spiral or flat in shape. A spiral module consists of poly amide membrane layers wound in spiral form. At the edge of the membrane, the wound layers are sealed using a cap. A permeate collection tube is located in the center of the wound module. All the clean water is passed through the spiral winding and collects in this tube. Water softening generally involves the removal of hardness ions, specifically calcium and Magnesium. Because these ions are multivalent, they’re preferentially removed by NF membranes. NF that is the widely used as a process for water and wastewater treatment in addition to other applications such as desalination where its application is increasing plays an important role to partially replace Reverse Osmosis System RO, which reduces energy and operational costs.